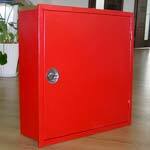 Fire Cabinets are systematically inspected for necessary quality parameters before dispatch. These are mechanically designed by the engineers so that it can give the best of its performance. Fire Extinguisher Cabinets are properly observed under severe conditions so that it does not create any problem at the time of functioning. 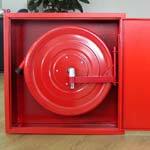 With this we are amid largest fire cabinets suppliers. 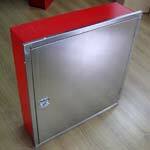 Considering the quality factor, we have in house advanced technologies to develop and manufacture best products that have made us a front runner Indian fire cabinet’s Manufacturer, Exporter & Supplier. COFFCO Fire Cabinets include all types of Cabinets. The range offers quality sheet metal workmanship with no rough edges, no uneven bends, and no joints out of true. We can supply Cabinets of many styles, sizes and colors as per the client's requirement. They come complete with lock, cover and labels. COFFCO can supply Single and Double Door Cabinets, Recessed or Surface Mounted.